Hate getting robbed? Love solving mysteries? 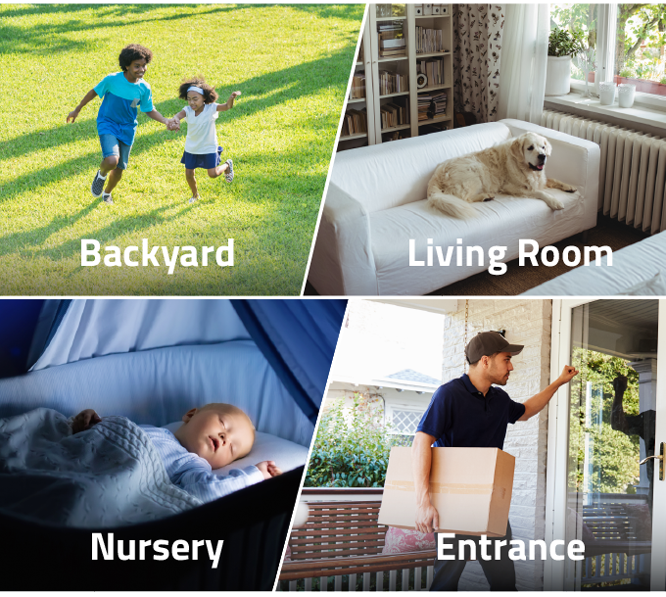 Installing a security camera might seem like an obvious answer for surveillance, but it may surprise you that only 3 out of 10 homes have any sort of security device set up. 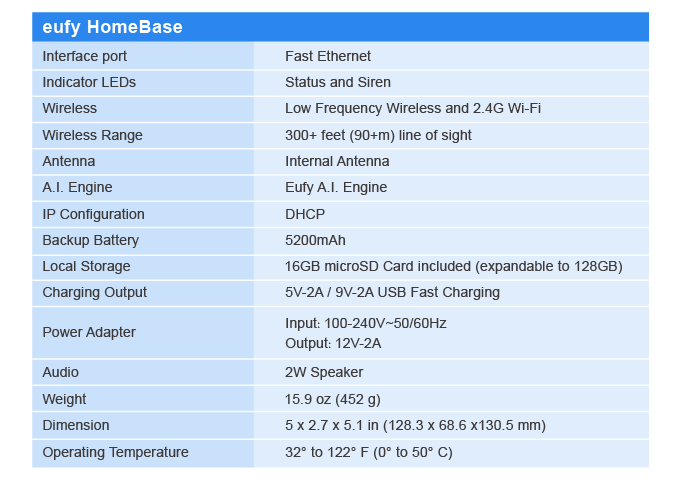 And, as basic as a security camera system might seem, you’ll be surprised to know that other cameras on the market actually present more problems than solutions. 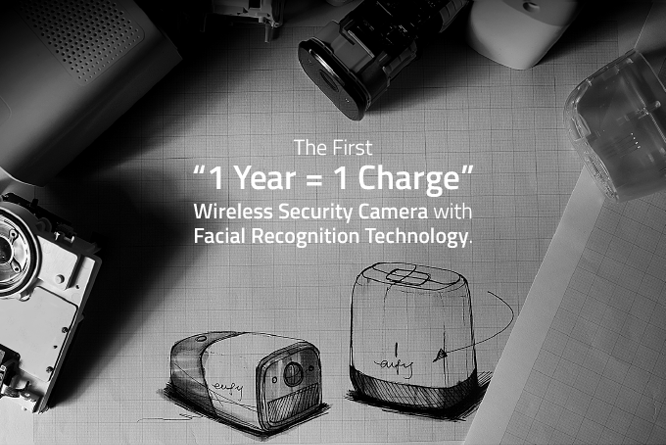 eufyCam is designed from the ground up to offer wireless freedom. We eliminated power cables, wall outlets, and the need to drill holes, giving you freedom to install eufyCam practically anywhere. Stick the mount onto any flat surface and eufyCam’s ready to go—in less than a second; or just stick it directly onto most metallic surfaces. 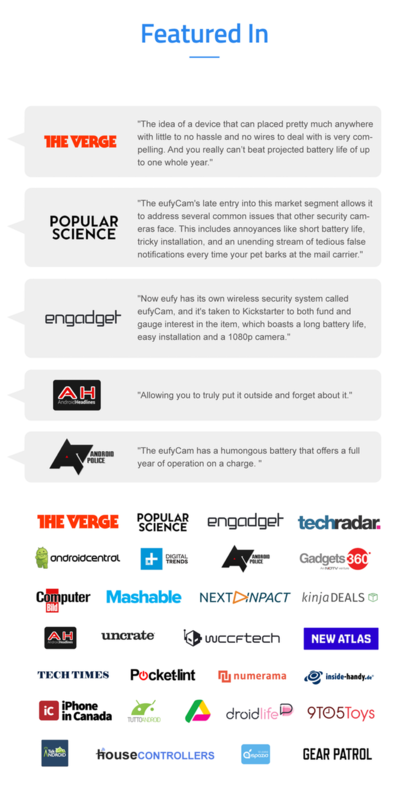 Place eufyCam anywhere you want surveillance. 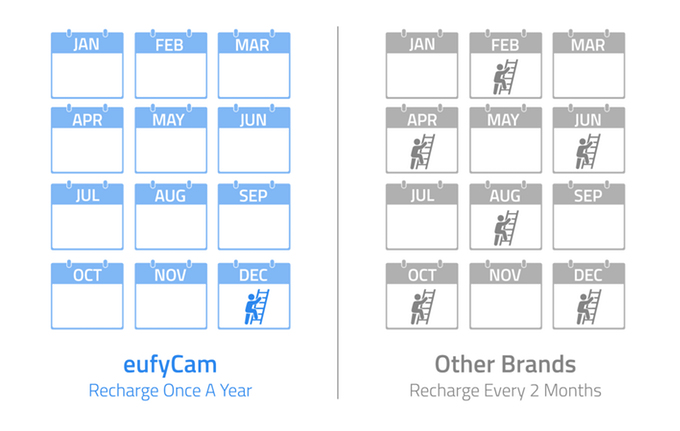 In developing eufyCam, we made it our priority to offer the longest battery life in the industry to ensure a convenient and top-notch wire-free experience. So it only made sense that we partnered up with Anker—the leader in charging technology—to maximize the efficiency and charging speed of the battery. 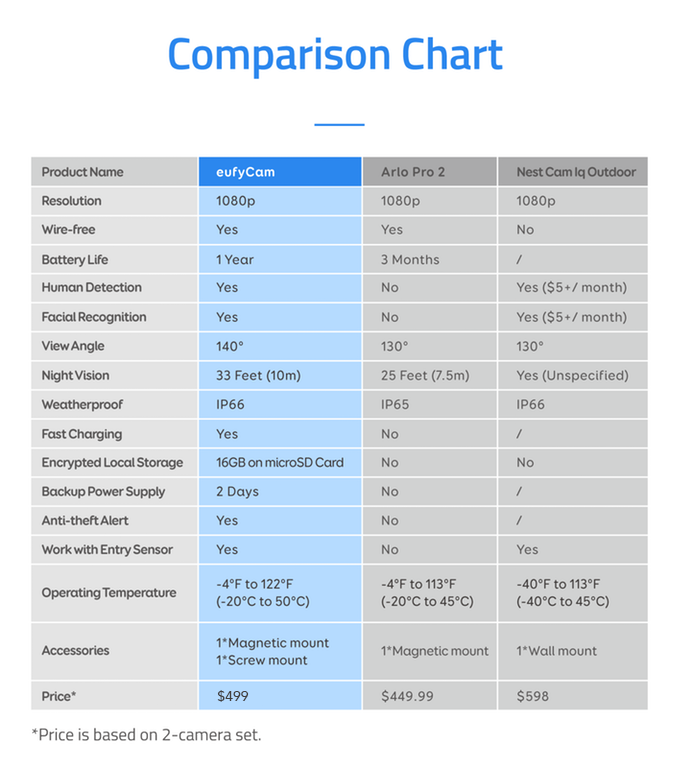 This collaboration resulted in eufyCam having the power to run for 365 days (or 3 years in Standby Mode) per charge when actively monitoring areas such as your front door or driveway, not idling by in your attic. Birds, dogs, and falling leaves can trigger other security cameras into sending you false alarms. 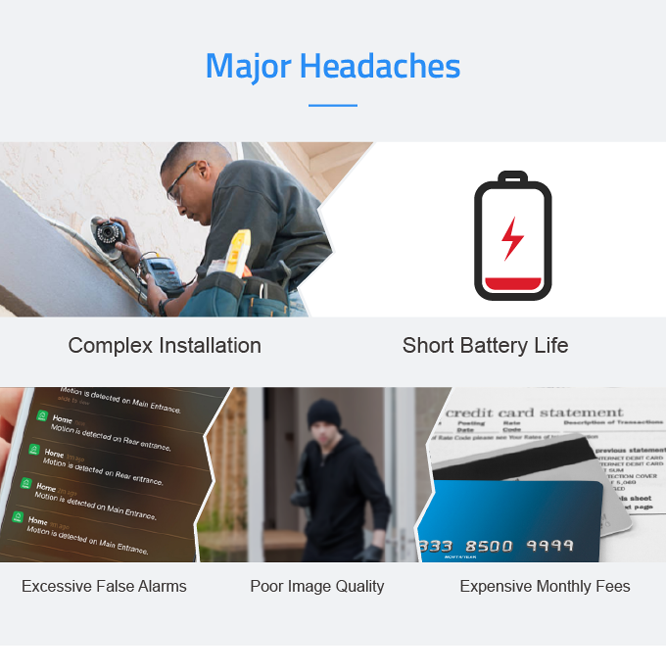 We understand that a security camera that sends you excessive false alarms will just be ignored, or even worse, unplugged. 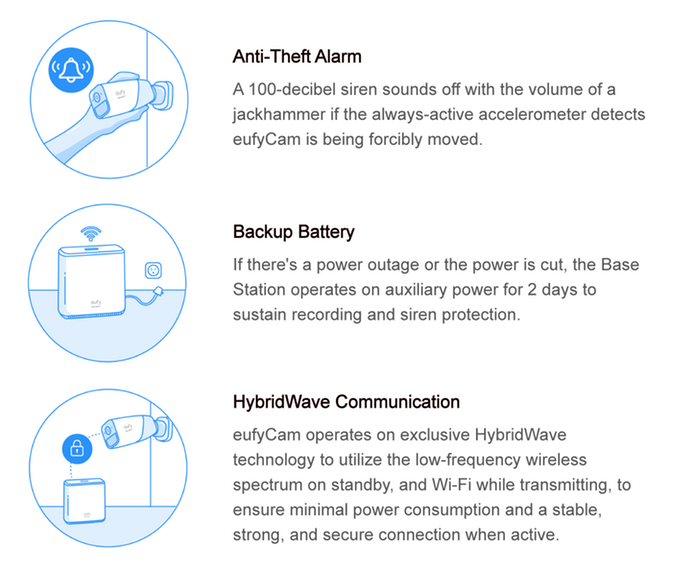 eufyCam reduces false alarms by up to 95% by applying a 3-step scanning and filtering process. First, register your friends and family as trusted faces, then, once someone approaches the vicinity of your house, eufyCam can determine if that person is someone you trust to further reduce the alerts you get. After this triple-filtering process, eufyCam will send you a notification according to your security level preference, whether it's alerting you of all movements detected or only when a stranger's face shows up. All this data processing happens in a flash, so you will be notified in seconds when a stranger is at your door. The 140° wide-angle lens provides a panoramic view, spanning from your driveway to the front door—with no spots missed—making it ideal for catching people walking past or towards your home. 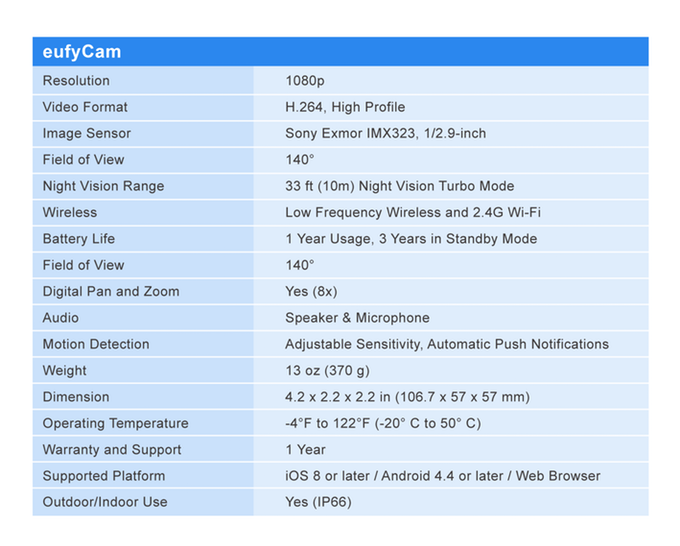 Top-of-the-line Sony Exmor sensor combine with large f2.2 aperture to offer around-the-clock Full HD surveillance, recording sharp and bright video during the day, plus crisp and clear Night Vision footage in the evening. Your data is for your eyes only. That's why it's secured with AES 128-bit encryption. Access to your footage requires the microSD card to be inserted into the Base Station it’s registered to, and you are logged on to the account tied to the Base Station. So that means you and only you can access the data. Not a thief, not your neighbor, nor anyone from the eufy Security team. Constructed from cutting-edge ASA composite material, which offers unrivaled strength and protection against the elements, eufyCam works perfectly indoors and outdoors. 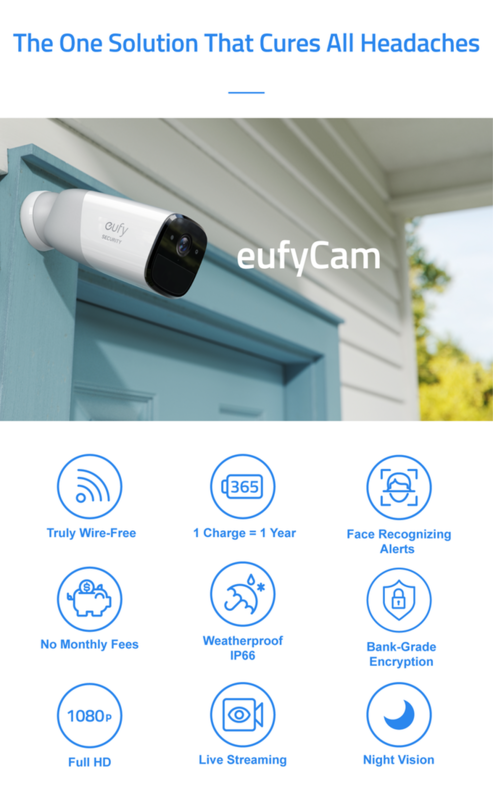 Whether it’s raining, a freezing -4°F (-20°C) winter or scorching 122°F (50°C) summer, eufyCam will keep watch over your home. 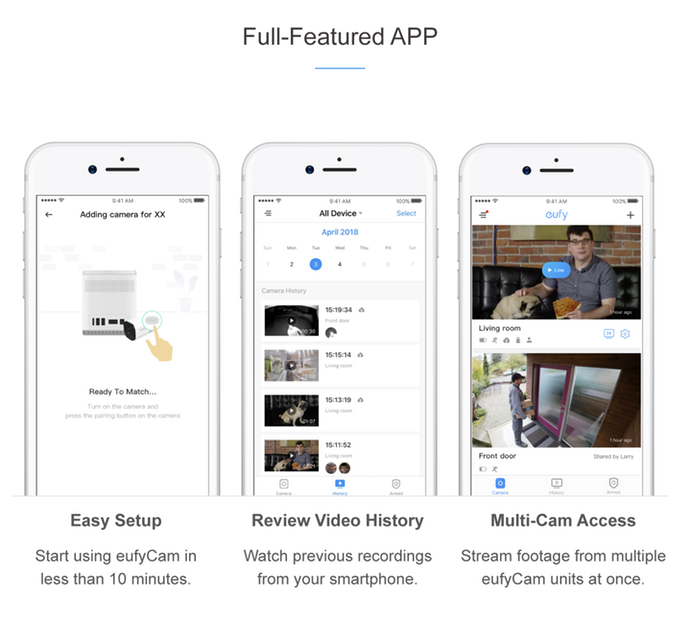 Open the eufy Security app and your smartphone becomes a window for high-resolution streaming of what eufyCam sees in real-time. The DNN (deep neural network) algorithms that eufyCam uses are inspired by the human brain, which are designed to see patterns. By recognizing patterns, the DNN algorithms categorize the sensory data eufyCam receives to filter out irrelevant patterns, so only pertinent information is analyzed. 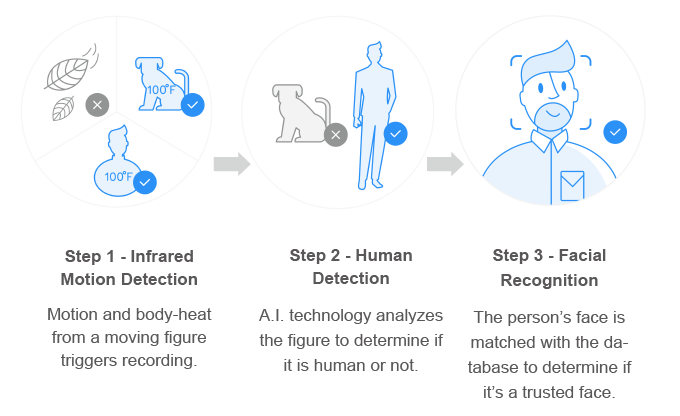 Once the patterns are analyzed and determined to be human, the facial-recognition engine kicks in to scan the faces to compare to the database to determine if you need to be alerted or not.